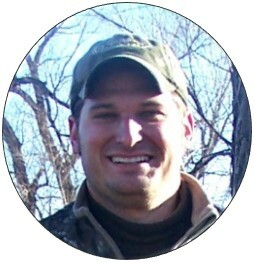 Article by Contributing Writer G. Thurman. Every hunter has that one animal they pursue that brings them the most joy, excitement, and often heartache. 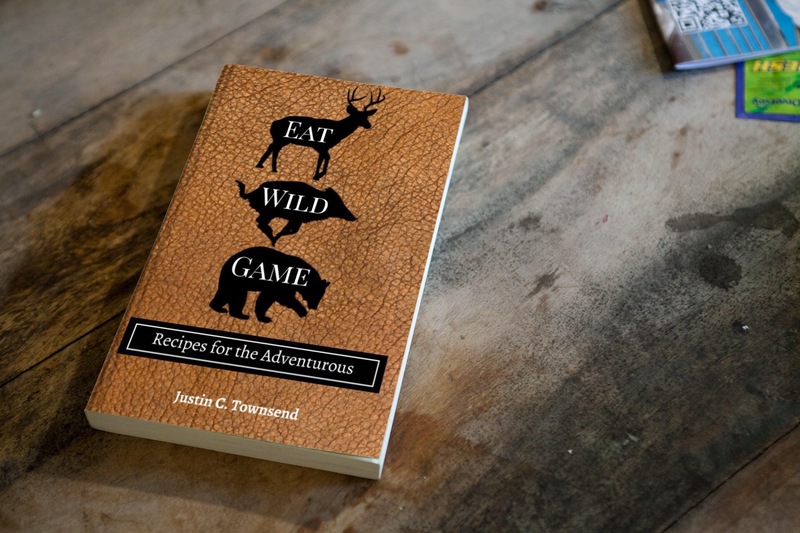 While all game species are a noble pursuit, there is always the one that becomes an obsession, the one you find yourself thinking about every day of the year. My obsession is the mule deer. What I love about mule deer is the type of hunt it takes to be successful with this species. They live in high mountain basins, desert environments with extreme temperature variations, and the high plains of the Midwest. In the western third of my home state of Kansas we have a fair number of mule deer. Not as many as some of the farther western states, but what we lack in numbers we make up tenfold in trophy quality. The amount and type of food that is available, due to the large amounts of crops that are planted, allow these deer to grow very large antlers and bodies. Hunting mule deer in this type of terrain can be almost more challenging in some aspects than hunting them in the mountains. My hunting partners and I have always timed our hunts to coincide with two events. The rut being the most active of hunting but more importantly when all the crops have been harvested surrounding our hunting ground. In western Kansas there are literal oceans of milo and corn. For this reason our hunting is focused on the last week of October to the end of December. Mule deer tend to enter their peak rutting phase around the second and third week of November where we hunt. The first time I attempted to hunt these deer in my home state I came back empty handed but beyond excited. I knew this was a hunt I was going to do every year, and thanks to being a resident of Kansas we are allowed an either species state wide archery tag over the counter. It took several seasons before I connected with a high plains mule deer with my bow but not for a lack of trying. Spot and stalk during the rut can be tough if not in some situations impossible. Mule deer like there whitetail cousins will chase does throughout the day during the rut, never stopping. That “ah ha” moment came when I was sitting in a cottonwood tree I had climbed up on my friend’s ranch. I was chasing after a giant of a whitetail I had gotten several day time pictures of on my various trail cameras. It was still twenty minutes before shooting light that morning when I clearly started to see deer mill about in the river bottom that I was perched in. Looking through squinted eyes and then more clearly binoculars, it became apparent I was surrounded by mule deer. When the sun finally broke the eastern horizon I was shocked at how many deer were in the river bottom. Two very large mule deer bucks where chasing does like I have never seen. They were relentless, chasing does for several hours never breaking stride unless the doe had evaded them. I had one buck run 30 yards from my tree stand, tongue hanging out in hot pursuit of the estrous doe that he easily outweighed by one hundred pounds. I could not get him to stop, so no luck, my heart was about to come out of my chest and I wouldn’t of traded that morning for anything. I decided that afternoon to climb back up in the river bottom but before I did I set out a fold up mule deer doe decoy. 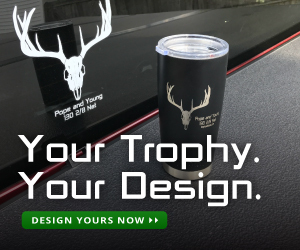 I figured it works for whitetails why not for mule deer. I didn’t have to wait long to see how effective that tactic really was. I gave a couple of halfhearted doe bleats on an old mouth call. Within what felt like seconds the largest racked two by three non-typical mule deer I have ever seen was eighteen yards quartering at me staring at the decoy. I drew back and shot with what felt like one motion. The arrow entered behind the right shoulder but due to the angle came out the paunch. He went all of 60 yards and piled up in a cut corn field. I was elated and knew I had found a way to put some of the odds in my favor. 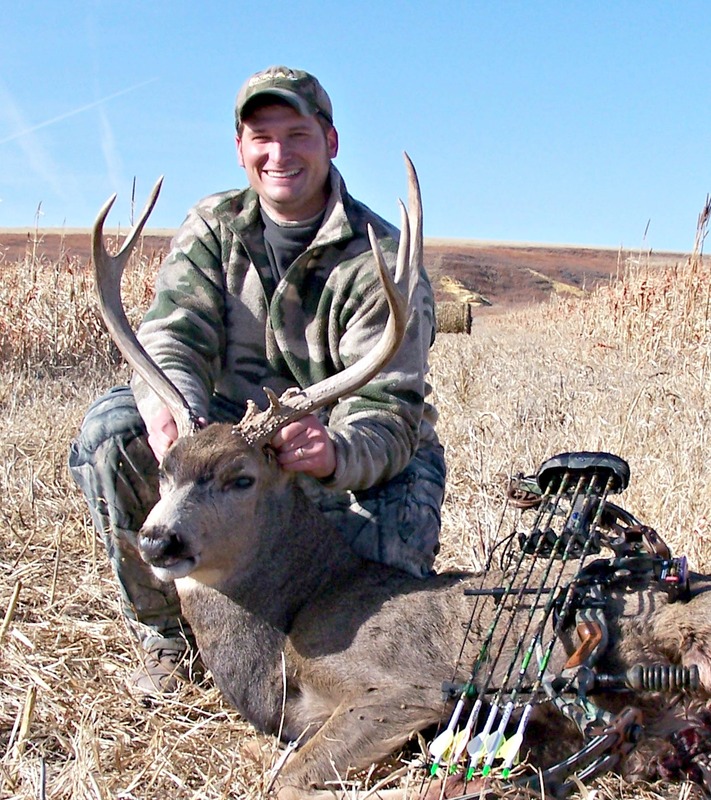 That first Kansas mule deer was the culmination of several season’s worth of effort and taught me to think outside the norms when it comes to hunting and remember there is more than one way to get the job done. Taking a tree stand along on a mule deer hunt might seem out of place. In the high plains of western Kansas, when the cottonwood leaves turn to gold, and begin to fall there is no better place to go after a giant mule deer than from 20 feet up in a tree. 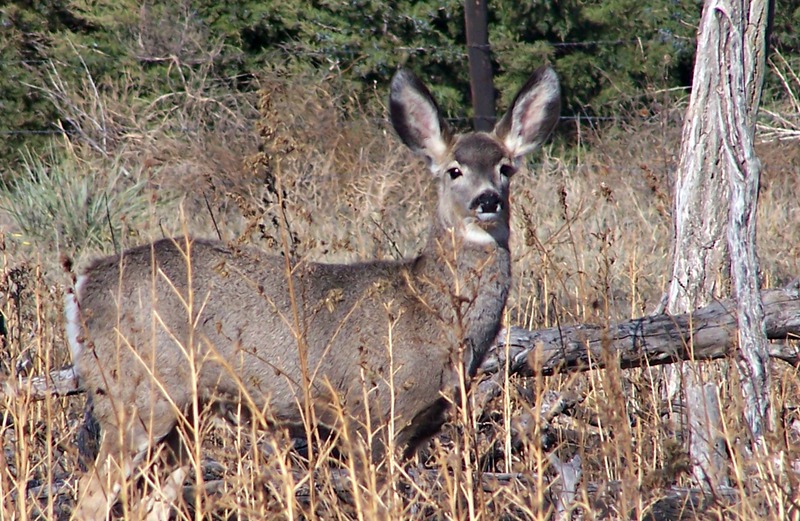 Read more about mule deer hunting.